1. Build a consistent, dependable writing workshop routine that honors kid writers with choice of topic, differentiated learning, individual coaching, and carefully-crafted minilessons. 3. 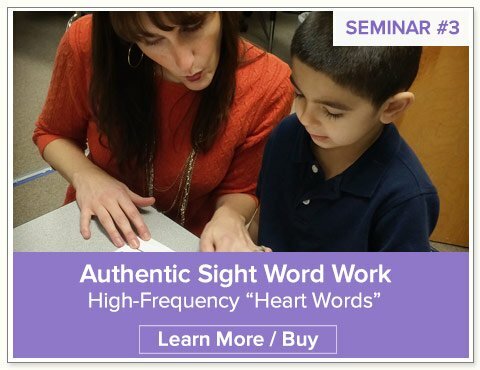 Teach kindergartners—with Parents as Partners—to build fluency with two kinds of words: a growing collection of words they are expected to know “by heart” and words they learn to listen to, stretch through, and use phonics-based spelling for. 4. Teach children to draw, write sentences, and make books. Create independent writing centers for authentic word work to build skills and stamina for writing workshop. 6. Give students choice and ownership of their writing pieces. 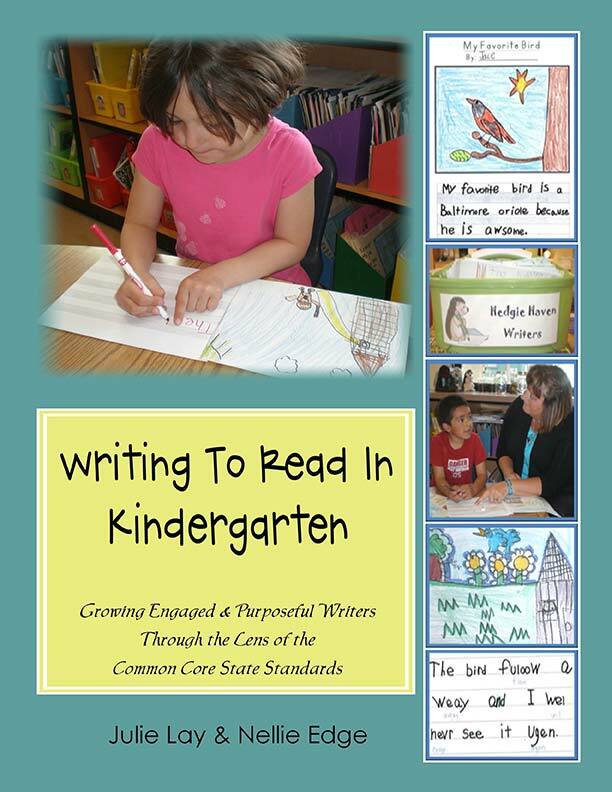 Publish kindergartners’ writing in simple and delightful ways so children see themselves as young authors and illustrators all year long. 7. Build the reading and writing brain. 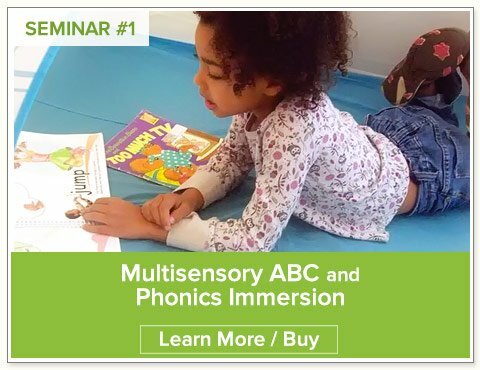 Simultaneously incorporate multisensory ABC Phonics Immersion, fingerspelling, and handwriting into a comprehensive writing program. Want to take your writing program to a higher level of excellence? for our 7th Annual Summer Kindergarten Writing Institute. Why do teachers attend the Nellie Edge Writing PD multiple times? 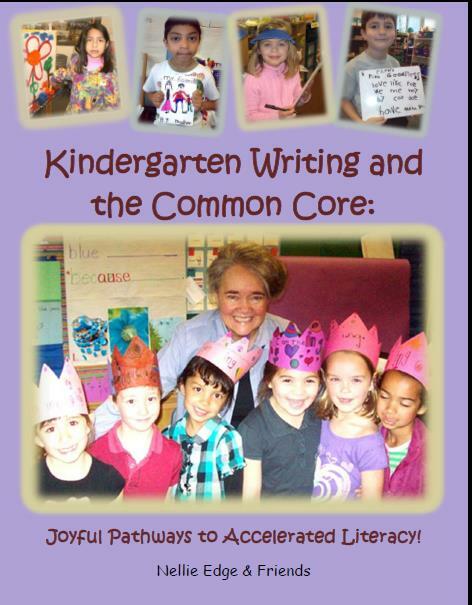 See Kindergarten Writing Institute evaluations. 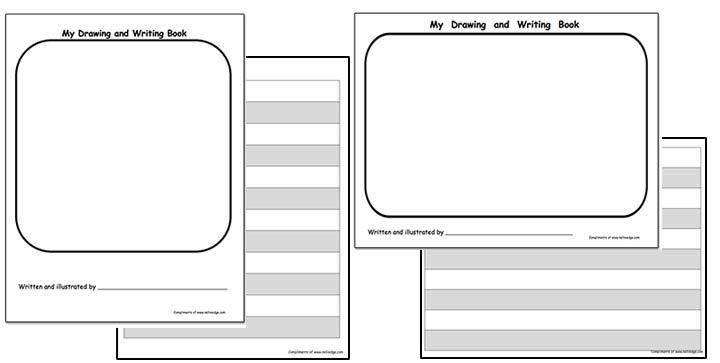 Consider starting the year with “My Drawing and Writing Book” templates in horizontal format. Print on 80# paper so pens will not bleed through. 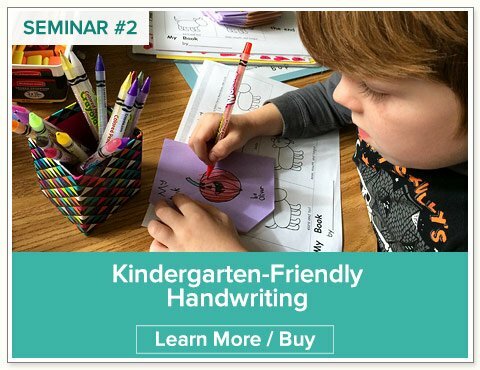 Children learn “you get to write in the white!” Teacher provides underwriting in the gray or in continuous text at the bottom of the paper (depending on their teaching focus) ONLY until the child’s writing is proficient. Note: Kid writing paper automatically teaches children to write within every other line. Download horizontal and vertical Kid Writing paper templates from Nellie Edge Freebies page. Enjoy the growing collection of Nellie Edge Kindergarten Resources and Save 50% off for the first 48 hours a product is listed. Simple click this link to be notified of new products.